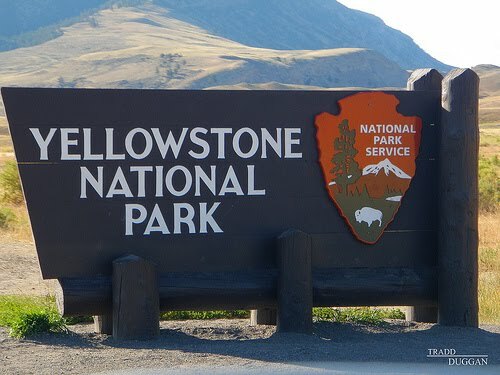 It's been a few too many years since I've been able to get back to my favorite stomping grounds of Yellowstone. My Pals were itching to find another local to hit this late Summer and when it hit me early in the Year....it's been close to 20 years since I called YNP home, no other choice was a possibility! *This week FFA will be highlighting our trip each day with a new Location, feel free to checkout our posts each day on locations visited such as: the Yellowstone River, Yellowstone National Park, Slough Creek, Madison River Valley and the Gallatin River. 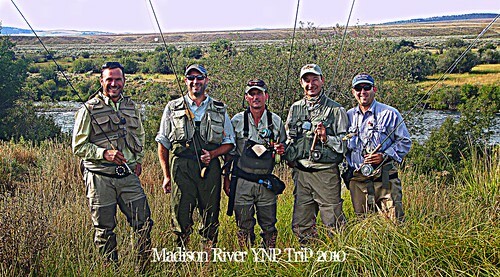 The playas were able to make it and though I had two close calls that bailed towards the end due to newborns and moving, we were able to put together a great crew for some Fly Fishing Adventures. Whether it was Clark whom made the trek out from Minnesota for 3 whole weeks or from Georgia, they were scattered all over the place. The fish never had a chance with these fishing phenoms. Brian made it from Minnesota as well, Dave from D town, myself and Donny B from Atl. 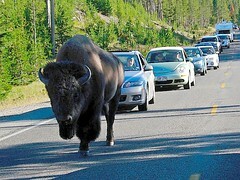 Think of Yellowstone and 2 words (okay more like 50) come to mind, bears and Buffalo's come to mind. Fortunately we only encountered the Buffs, it's always a riot to see these guys all over and even more so when we were awoken one morning by one walking feet from our tent waking us up! Yellowstone Cutthroats on dry flies, does it get any better than an impressive Cutty shooting up 5 feet like a missile to attack a grasshopper....what an experience! Canyon Village is my old haunt and visiting Lower Falls over the years never gets old. An experience everyone should try to hike is in the 7 Mile Hole "7 Mile Hell" locals call it (14 miles rt) and exploring any section if Yellowstones Canyon is quite an experience when targeting nice trout. 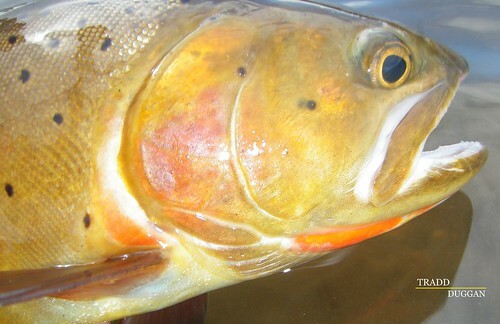 More great pictures of Yellowstone National Park, trout pictures, the Firehole River and more here at Fly Fish Addiction's YNP Section. a busted disc to still remind me each day how close that was. 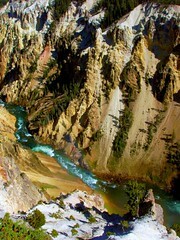 Yellowstone, a place everyone should visit at one point in life and a place that will keep bringing me back year after year! 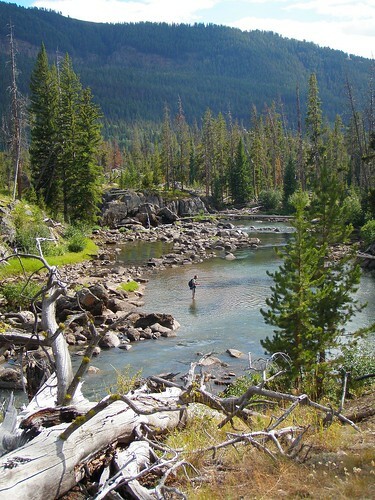 Thousands of miles of top troutwater, few crowds (in the right area) and impressive dry fly fishing.